Hilux launched in 1968 and ever since then this iconic pickup has left its mark wherever it goes. A redesigned frame and body structure ensures toughness, combined with the striking new design. Now available at 2.9% APR Representative**. Don't just take our word for it, Hilux is the Commercial Fleet Awards 2017 winner of Pick-up of the Year. The Hilux frame and body structure have been redesigned to ensure toughness, while a stron​ger, wider under-body offer great protection. All the components of the Hilux are made to withstand the most rigorous tests. This remarkable pick-up is designed first and foremost as a work house with a towing capacity of 3.5 tonnes. ​This is Toyota signature design at its most audacious, full of strong shapes and sharp corners that reinforce intelligent toughness. Everything from the 3D grille to the muscular wheel flare and ​the dynamic side lines spells sophisticated power. The chrome belt line along the windows and a wide choice of wheels add eye-catching highlights. Details on some of the accessories you can buy for your new Toyota Hilux. Model shown is Hilux Invincible Manual. Prices correct at time of being published. 5 year/100,000 mile manufacturer warranty. Terms and conditions apply. *Business users only. Initial rental and VAT applies. Available on new leases of model shown when ordered and proposed for finance between 1st April 2019 and 30th June 2019, registered and financed by 30th September 2019 through Toyota Financial Services on Toyota Contract Hire. Advertised rental is based on a 48 month customer maintained contract at 8,000 miles per annum with an initial rental of £2,345 +VAT. Excess mileage charges apply. You will not own the vehicle. Other finance offers are available but cannot be used in conjunction with this offer. Offer may be varied or withdrawn at any time. At participating Toyota Centres. Toyota Centres are independent of Toyota Financial Services. Indemnities may be required. Finance subject to status to over 18s only. 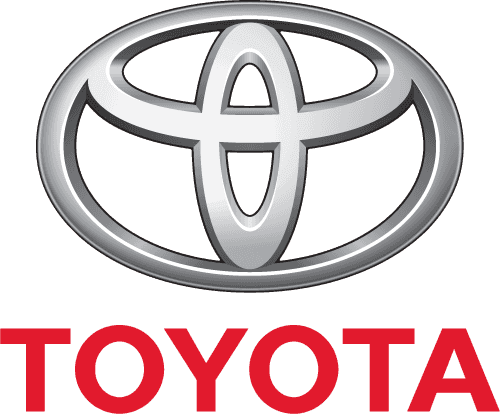 Toyota Financial Services is a trading name of Toyota Financial Services (UK) PLC; registered Office: Great Burgh, Burgh Heath, Epsom, KT18 5UZ. Authorised and regulated by the Financial Conduct Authority. Terms and conditions apply.